Davenport is a city in Polk County, Florida, United States. The population was 2,888 at the 2010 census. While the city of Davenport itself is very small, the area north of the city close to Interstate 4 and US 27 is experiencing explosive growth. 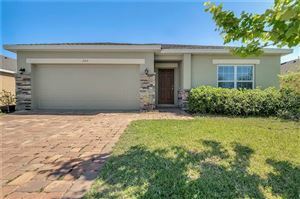 It is part of the Lakeland,Winter Haven,Metropolitan Statistical Area. The current interim mayor is H.B. "Rob" Robinson, who was appointed in February 2018 to replace former Mayor Darlene Bradley, who resigned after being arrested in December 2017 on a host of charges including use of a false identity. Per the City Charter, Mayor Robinson will serve until the next regular municipal election in April 2019, when an election will be held to fill the post through the remainder of the term, which ends in 2020. 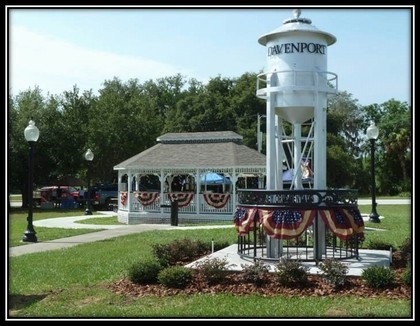 The settlement in the area now known as Davenport was established in 1838 when the U.S. military set up Fort Davenport during the Second Seminole War, about 12 miles north of the present site of Davenport. The fort was one of a number built at 20 mile intervals along a trail from Fort Brooke to Fort Mellon. The fort only lasted a few years. The fort was named for Colonel William Davenport, who served as the local U.S. commander in the war. There is no known documentary evidence to support an alternative claim that the city was named for a railroad conductor.